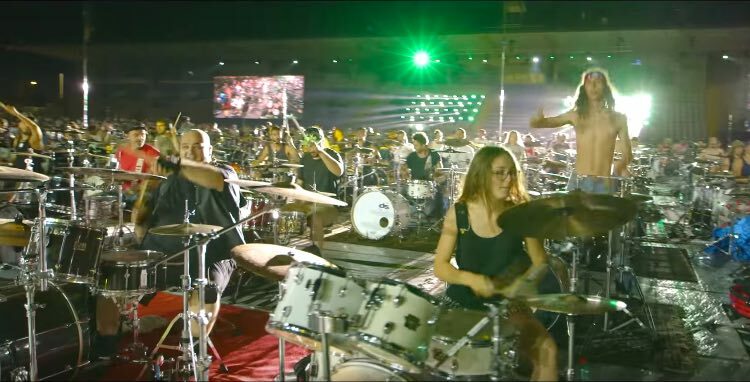 The same group of 1,000 musicians that demanded a Foo Fighters concert in their town by simultaneously playing “Learn To Fly” is back to pay homage to the late and great rock visionary David Bowie. After the Rockin’ 1,000 in Cesena, Italy – also known as the biggest rock and roll group in the world – performed their plea in 2015, the Foos actually ended up visiting their town to play a show. This week, they organized the “That’s Live” concert with a performance of Ziggy Stardust’s “Rebel Rebel”.